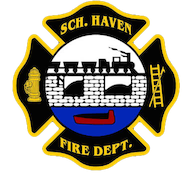 April 11, 2009- At 01:58 stations 1, 2, & 4 were dispatched to 43 St. John Street, Schuylkill Haven Boro, for an automatic fire alarm….again. Chief 720, Engine 732, Engine 737, and Ladder 725 went responding and got additional information from County that Schuylkill Haven Police were on scene and were confirming burnt food on the stove (again) and that there wasn’t any need for any fire apparatus. Chief 720 cleared himself and all Schuylkill Haven units in under 20 minutes.